LG has struggled to gain smartphone momentum in previous quarters, but this year the company hopes to get the ship back on course. Speaking to the Korea Times recently, LG's mobile head Park Jong-seok said LG hopes to drastically increase phone sales in 2012. "This year, we are aiming to sell 80 million handsets including 35 million smartphones," Jong-seok said. "But more importantly, LG aims to sell 8 million LTE smartphones." 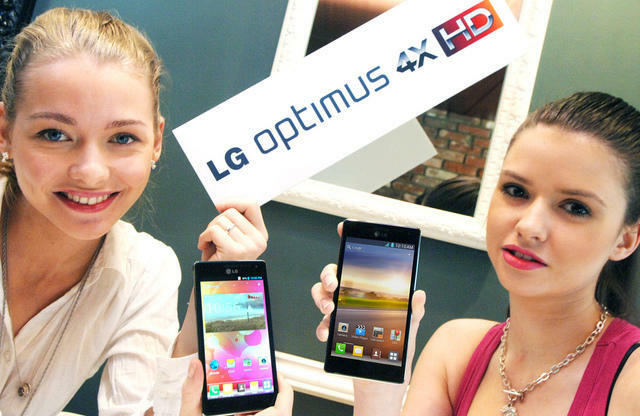 LG hopes its brand new quad-core Optimus 4X HD makes a big splash with consumers, too. "I think LTE, high-definition and quad-core will be the key words this year," Jong-seok added. "With fine-tuned technology and strategies, LG will recover our once-lost brand awareness." LG has struggled to compete with the popularity of Samsung's Galaxy S II handset, but the company was able to get its quad-core Optimus 4X HD in front of the press during Mobile World Congress where Samsung decided not to hold a press conference or discuss its highly anticipated Galaxy S III smartphone. Jong-seok hopes the company's keen focus on design in its L-Style phones will also help the company gain consumer attention. "With smartphones, we sometimes took a more functional approach to design but with L-Style we're going back to our roots as a company focused on how our products fit into the lifestyle of our customers." Unfortunately, we weren't overly impressed with LG's L-Style devices during Mobile World Congress; its Optimus line of phones are much more powerful and attractive.